A Persian rug is a rug that is specifically from Iran and they are durable, comfortable and come in a wide range of colors, motifs, designs, and patterns. The great thing about Persian rugs is that they can be easily cleaned. Persian rugs are easily cleaned and can be cleaned at your home if you have the right items. If the cleaning is started immediately with cold water and wash cloth gently, non-perfumed soaps, or neutral pH (neither acid nor base) detergent. Moisture should be blotted dry between each phase of the cleaning process. It is absolutely vital to rinse the soap residue from the rug, and to dry the spot fairly quickly, using a hair dryer or fan, if necessary. Of course, if you have a large spill and/or an expensive Persian rug you don’t want to run the risk of damage, call a professional rug cleaner like Pettyjohn’s Cleaning. Pettyjohn’s can provide you with a free quote and speedy response to your Persian rug cleaning. By using Pettyjohn’s you can be assured you will get the highest quality of rug cleaning, giving you the peace of mind that your rug will be given the level of care and attention it deserves. Examination – Thorough examination of the rug to see if there are any structural damage or dry rot. Dust Removal – Rugs are a trap for fine dirt and dust. Spot Cleaning – Often rugs comes with specific harsh stains on certain parts of the rug. Washing – We then begin the washing and cleaning process once the dusting and stains had been treated. 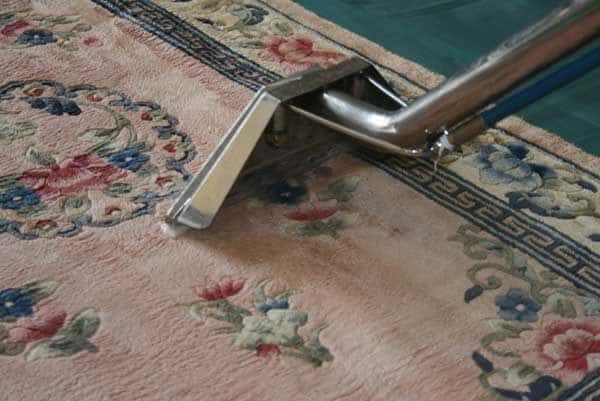 Extraction – The extraction method gets deep into the pile of the rug and removes an incredible amount of dirt and dust. 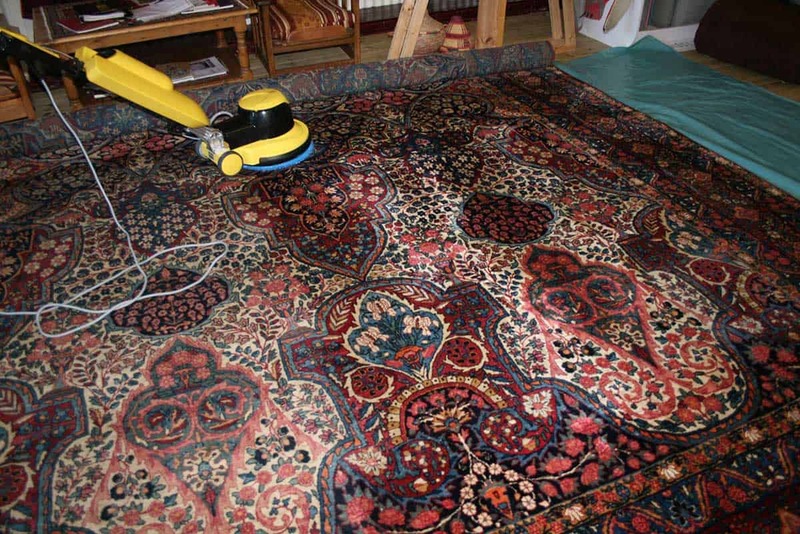 Drying – We dry your Persian rug as fast as possible. Final Inspection – Once the entire cleaning is finished, Pettyjohn’s will carefully inspect the rug to ensure any strands of high-pile are carefully clipped. There are two quick ways you can determine yourself if the Persian rug you are looking to purchase is handmade or machine made. The first test it to turn over the rug and see how well you can see the pattern on the back. The more clear you can see the pattern on the back that’s on the front face of the rug, the higher quality the rug it is. If you don’t see the pattern on the back at all, it is a machine made Persian rug. If your rug passes the first test, take a look at the base of the tufts and the roots of the pile. Do you see rows of knots? Then the rug is handmade! Buying a Persian rug is definitely worth it. A quality Persian carpet can last at least 50 years with minimum wear, provided they are well taken care of. With so many Persian rugs available on the market, there shouldn’t be an issue for you to find the perfect Persian rug in your budget. If your interested in learning more about the history of Persian rugs go here.